Tell me how you got started writing, in particular writing for teens. What is it that draws you to tell the story of teens? 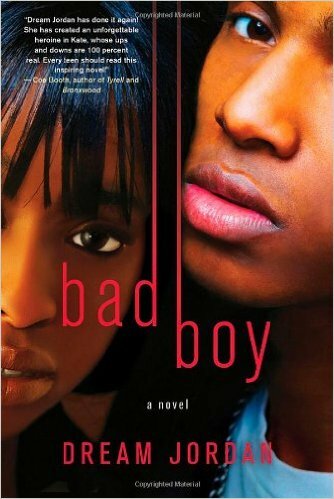 Your book Bad Boy examines the issue of dating violence in a dramatic yet realistic way. I wrote about this myself in Things Change, so tell me what lead you to this topic? First, congratulations on the publication of your book! I was drawn to write about dating violence when I learned about a friend’s teenage sister who had been beaten by the father of her child. 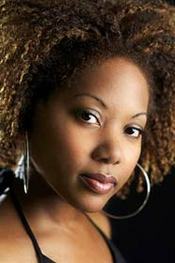 I was shocked by the age of this young lady, and thought back to my childhood and teen years. I had never been exposed to such stories. As your book title states, “Things Change” and at present, more young people are finding themselves in abusive relationships. I wanted to demonstrate through my story that even a tough protagonist such as “Kate” can fall prey to an abusive relationship. My overall inspiration for writing teen stories is that I’ve wasted a lot of great potential during my own youth. And I’ve always wanted to help teenagers realize their full potential through my words. Bad Boy also hit the “sweet spot” of being a book with enough quality to be named a YALSA Best Book for Young Adults, but also accessible enough to make the Quick Picks for Reluctant Readers list. How did you thread that impressive needle? First, thanks for your vote of confidence. I strive to remain true to the character and the situation. I also insert humor into serious situations. With every book, I try to weave a tapestry of honest thoughts and scenarios into a cohesive, believable story that teens can relate to. Last year the #we need diverse books movement kicked into high gear and interest in a more diverse body of literature for and about diverse populations, in particular kids of color. What do you think are some of the barriers to making YA more diverse? Can it / should it be done? And do you have any interest in writing a story mainly about white teenagers, and if so, how do you think that would be received? I don’t have any answers for how to achieve diversity in literature. Readers like what they like. Publishers market according to the numbers. I actually attempted to write a story featuring white teens. Epic fail. My agent at the time didn’t feel the story. But that doesn’t mean I won’t try again! What are you working out now?